Next to the parc dels Catalans. 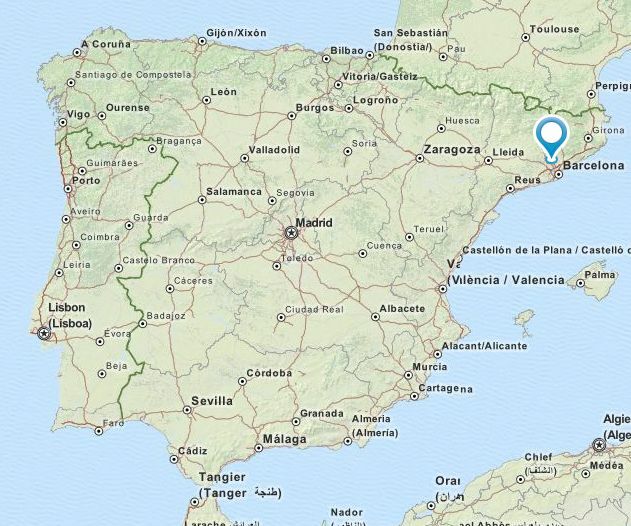 See map on the website. Registration: Open from February 9th to March 20th The number of participants is limited to 3,000. All groups should have members of the ACP, as outlined in the website. Cost for non-ACP member, 7.00 EUR, free for members and non-members under 16. 2014 event: More than 1800 lacemakers attended. A Guinness record for the longest lace (960.6 meters) was set. Last June, the Mayor of the Olot gave the Mayor of Terrassa a statue of a lacemaker, symbolizing the transfer of the yearly event to the 2015 venue http://tinyurl.com/k2qfum3. Video of the 2014 event at http://tinyurl.com/lcmuxdk. This is the Catalonian Lace Association annual lace day, no doubt the largest lacemaking event in the world. It is held in a different city each year. Bobbinlace only, and no non-laces allowed (cross stich, patchwork, crochet, etc.) Lacemakers are requested to come with their best work in progress. 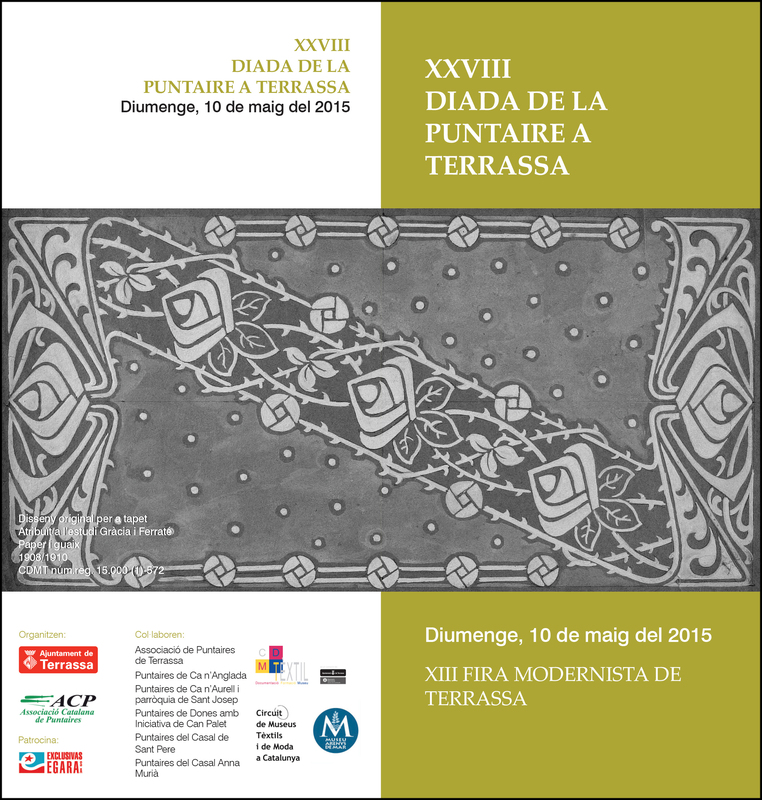 This year the event is part of the Terrassa the XIII Fira de Modernista which runs May 9th and 10th, 2015. Hence the fairly ‘modernist’ look of the poster. 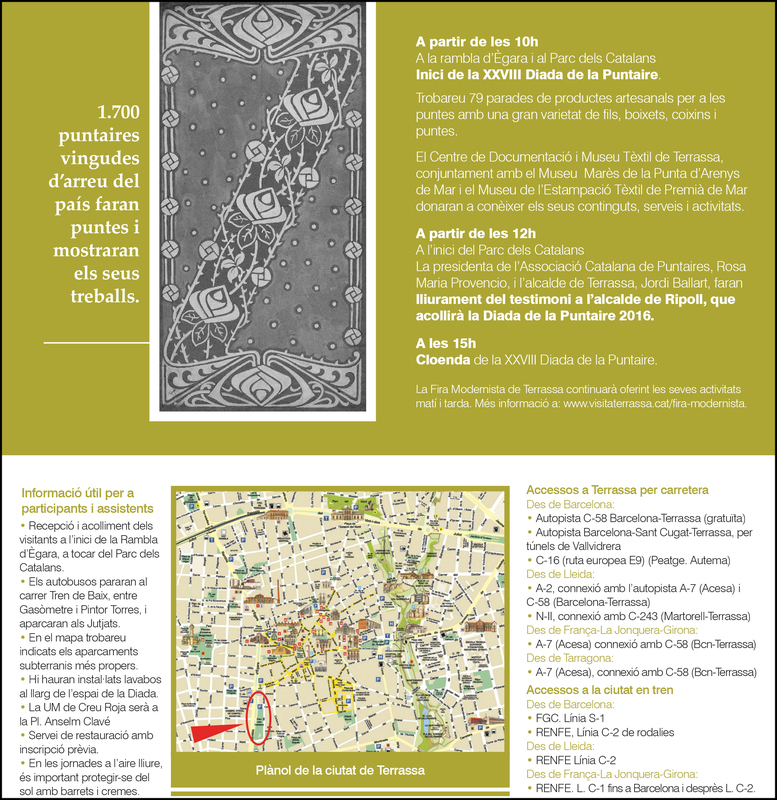 Several textile museums in Catalonia, notably the Museu Tèxtil de Terrassa are collaborating on the Fair.